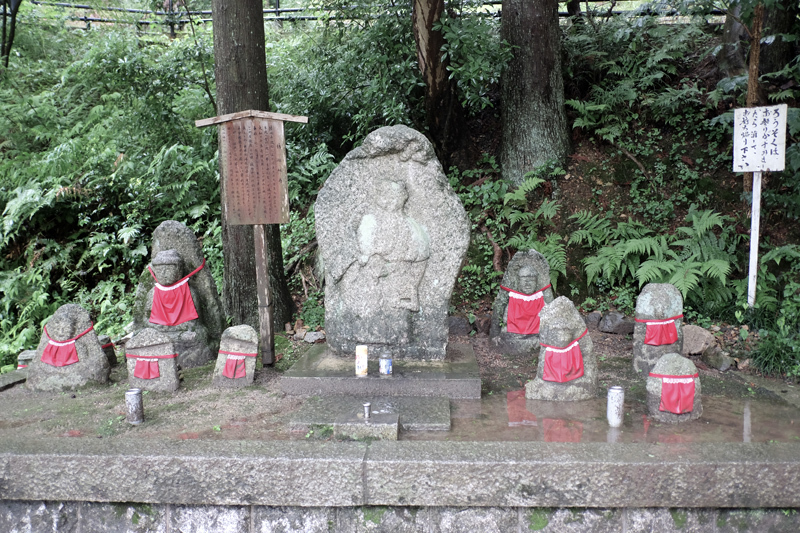 Of all the temples I've visited Kiyomuzu is my favorite. 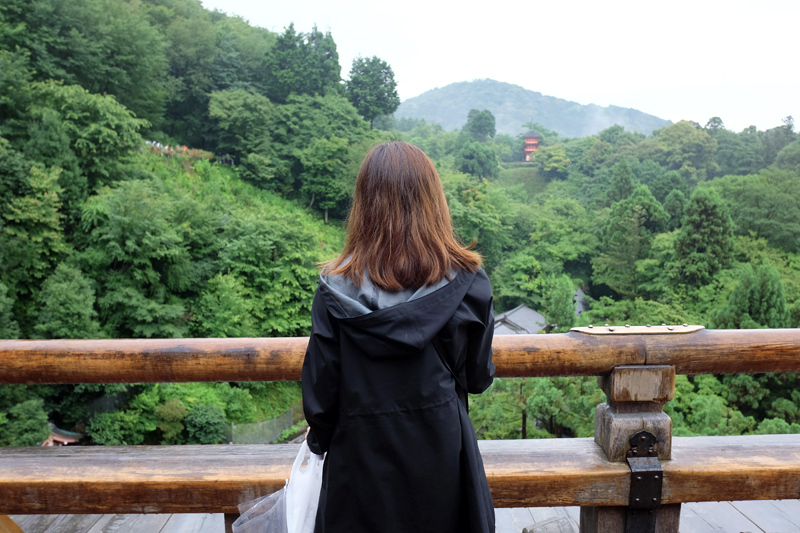 I think visiting shrines, castles and temples are always at the top of everyone's travel list but honestly, after seeing a few, I have to say, it can get boring. They all kinda look alike after visiting several in a row. Same red or gold pagodas, same gardens, same structure. SO HOW TO KEEP IT INTERESTING? RESEARCH. I think it helps to look into the history of the place so when you're actually there, you know what you're looking at. Don't take other people's word for it. Do a quick google search to see for yourself which ones really appeal to you. 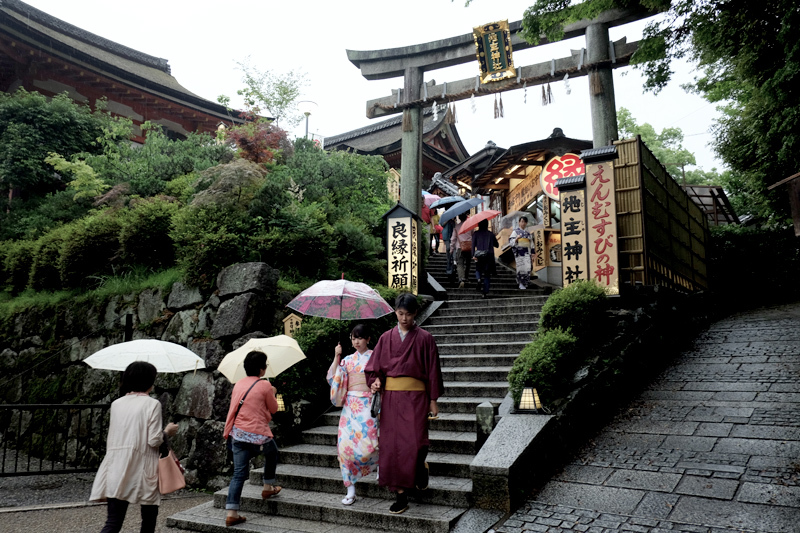 Especially when it comes to places like Kyoto where there are hundreds of possible temples to visit. The road to the temple is an upward climb. 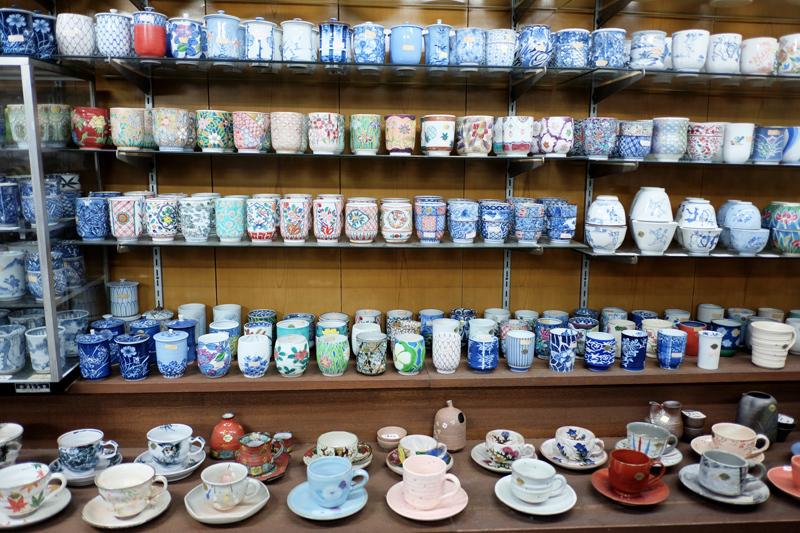 You'll know you're close by when you begin to see souvenir shops selling different kinds of merchandise. 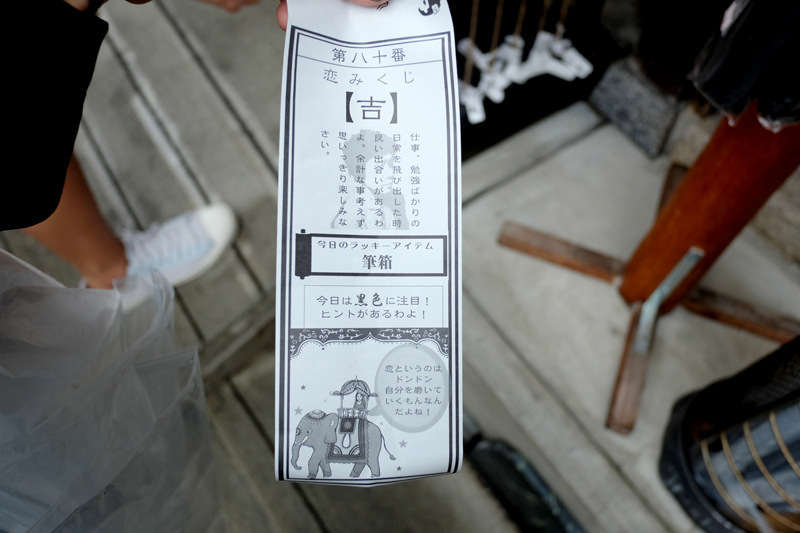 The most popular are ceramic shops and those that sell little odds and ends like these "wishing papers" (I don't know the real name) for 100 YEN that you can later tie to a string inside the temple for the monks to pray over. 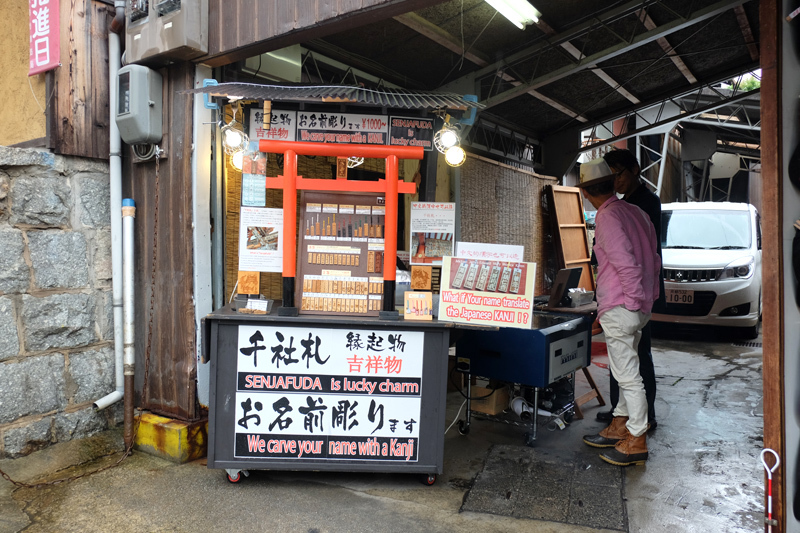 My favorite stall was this SENJAFUDA Shop with a photo of Johnny Depp by the street wearing one. 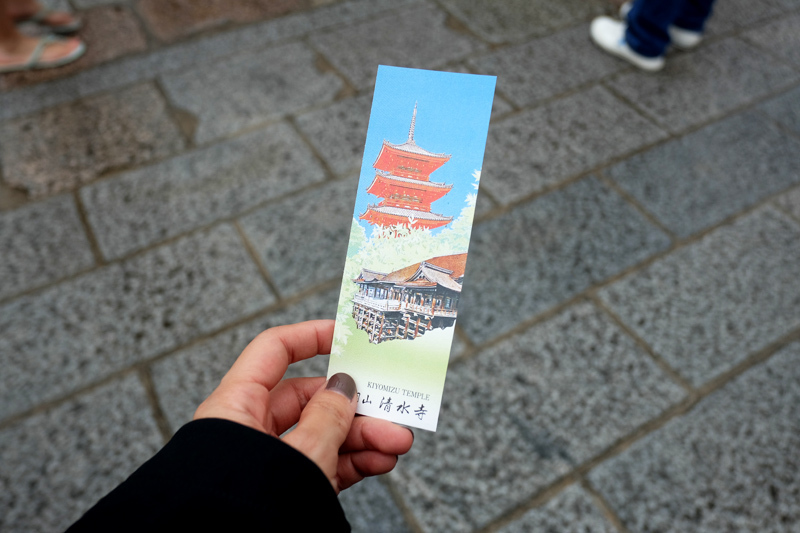 Senjafuda (千社札?, literally "thousand shrine tags") are stickers or scraps of paper posted on the gates of shrines and Buddhist temples in Japan. 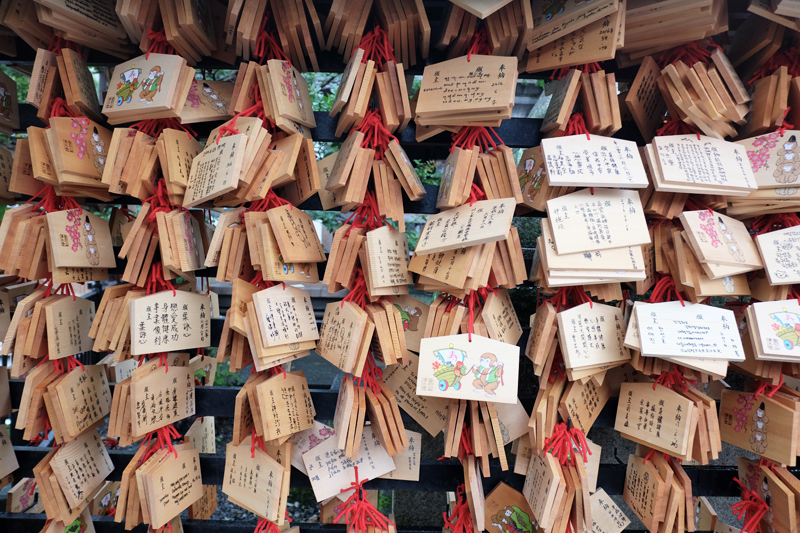 The stickers bear the name of the worshipper, and can be purchased pre-printed with common names at temples and shrines throughout Japan, as well as at stationery stores and video game centres. 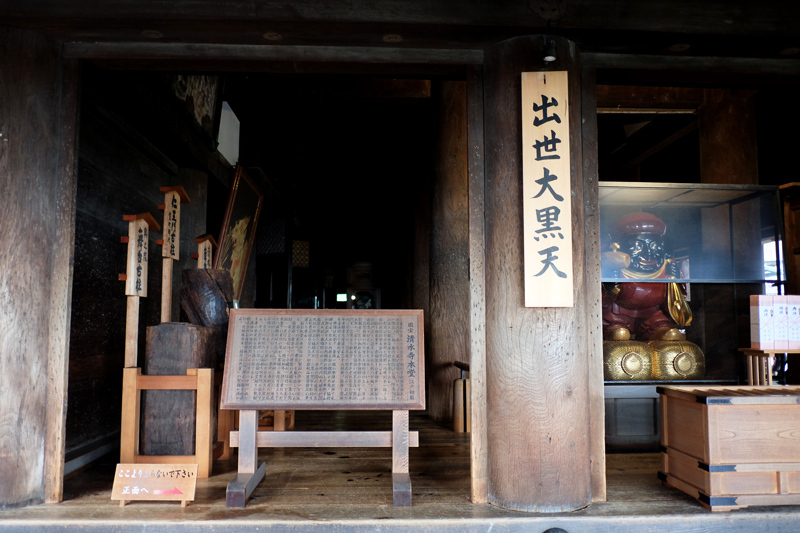 Senjafuda were originally made from wooden slats, but have been made of paper since the Edo period. Here's our finished pieces! I turned mine into a bag charm. I got traditional Japanese Waves etched on the back while Ana got Cherry Blossoms. 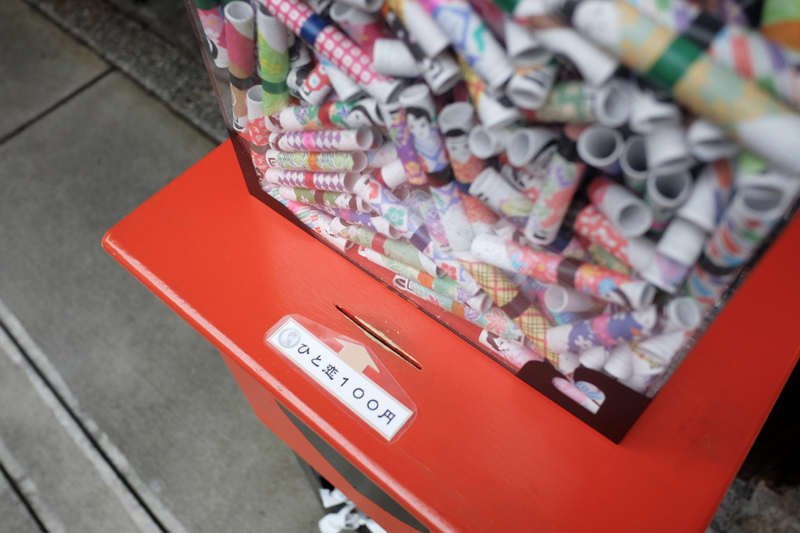 I think we each paid around 1500 YEN. Finally, the first flight of stairs leading up to the compound. 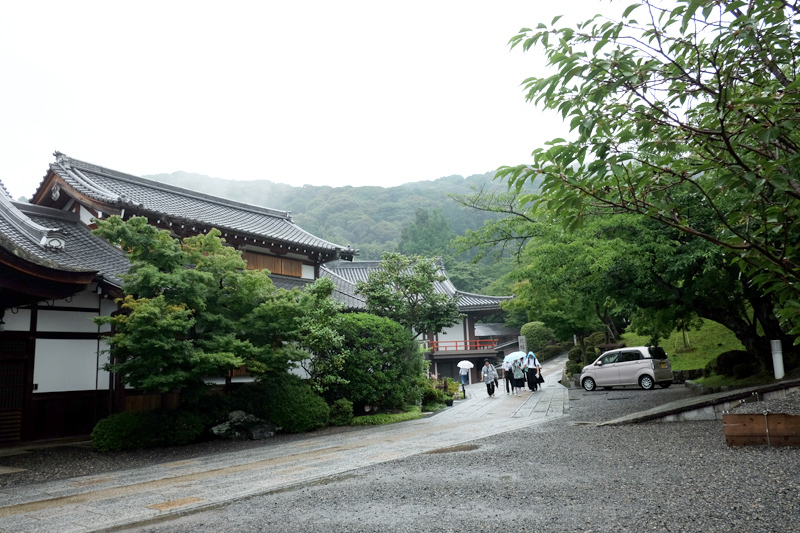 The main buildings in every temple or castle compound in Japan take quite a walk from the entrance. They're not just "there" as you enter. 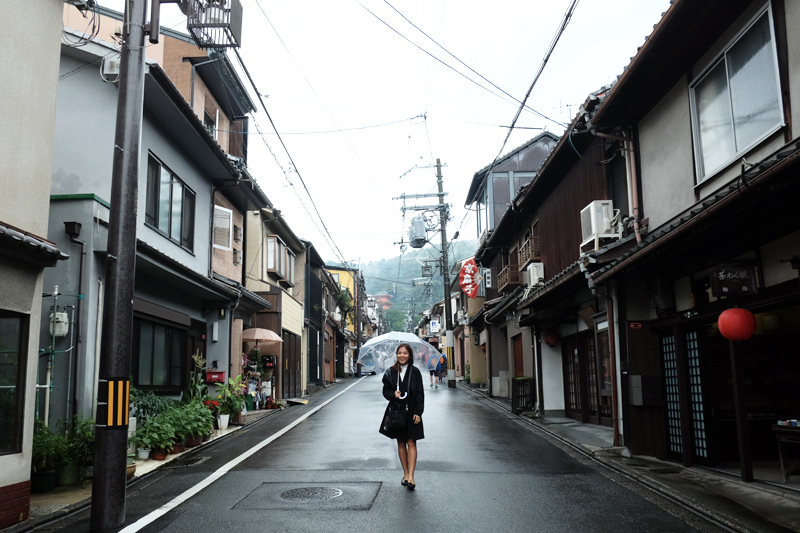 Usually, you need to pass through several streets, gardens and smaller buildings. Tiring but cool, Walking along those paths played with my imagination a lot. It made me think how difficult it must have been to infiltrate these places back in their heyday when it was hidden in forest with no paved roads + hundreds thousands of guards. How difficult it must also have been for devotees to pay their respects. The long walk makes the place appear even more majestic I think. I think that's what sealed the deal for me. 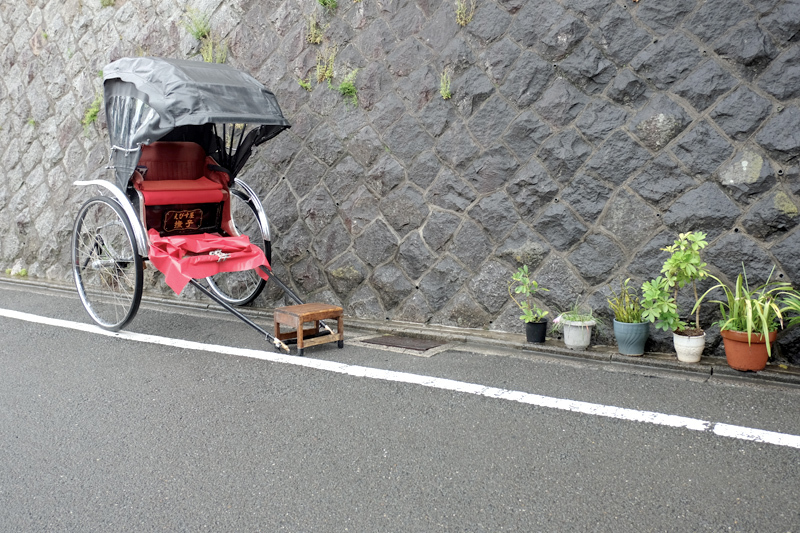 At Kiyomizu, you don't just admire the place and take photos, you actually get to experience a lot of really interesting things (for lack of a better word...). 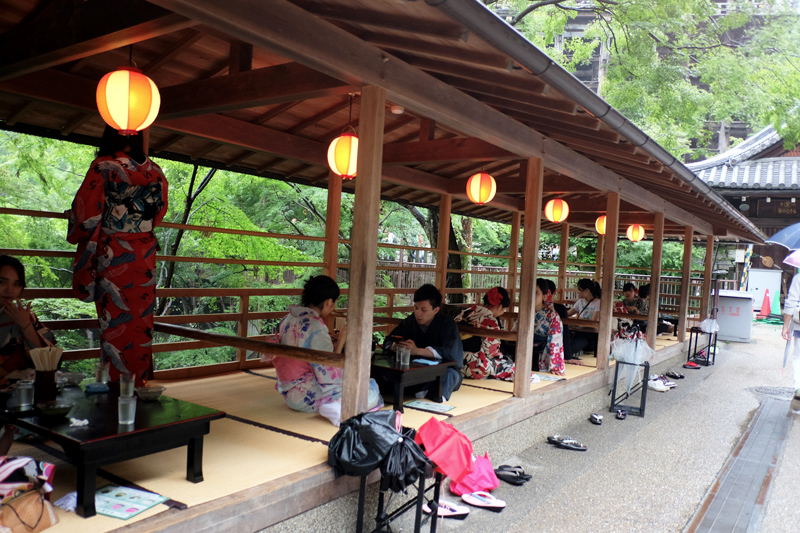 Like all the other temples in Japan, you need to pay a small fee to get inside the main grounds. About 400-500 YEN. Pay it, it's worth it. 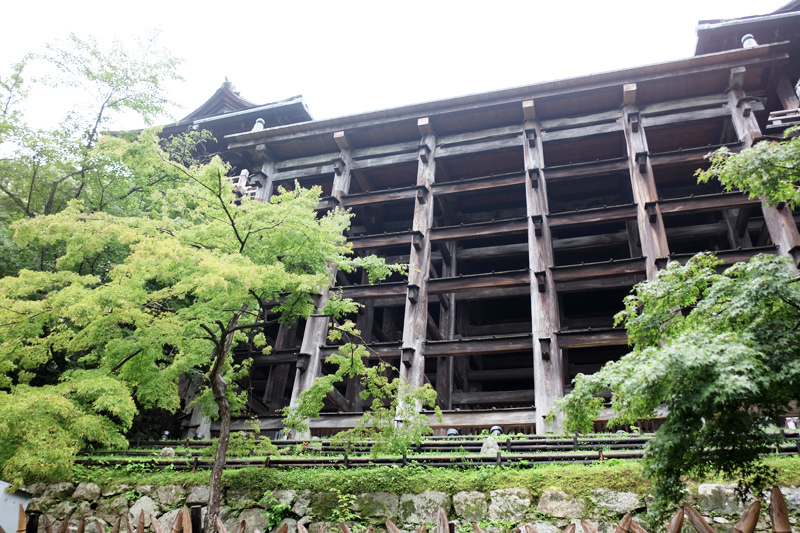 Kiyomizu-dera was founded in the early Heian period. 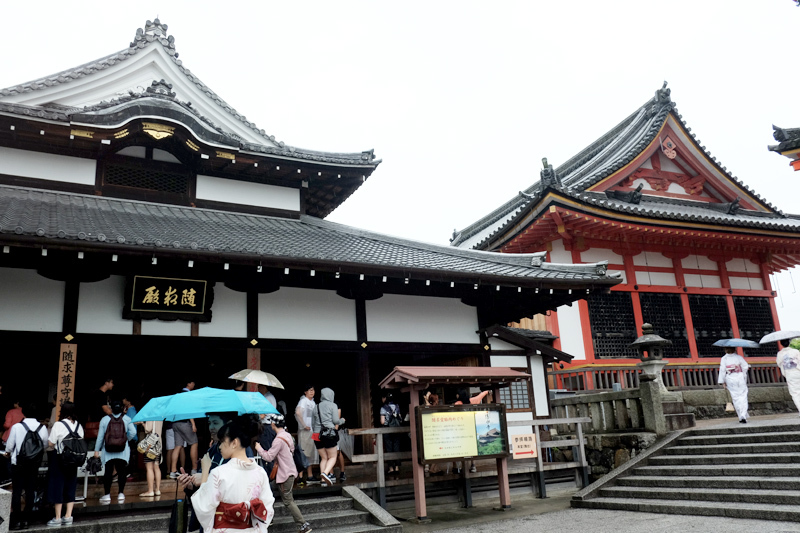 The temple was founded in 778 by Sakanoue no Tamuramaro, and its present buildings were constructed in 1633, ordered by the Tokugawa Iemitsu. There is not a single nail used in the entire structure. It takes its name from the waterfall within the complex, which runs off the nearby hills. 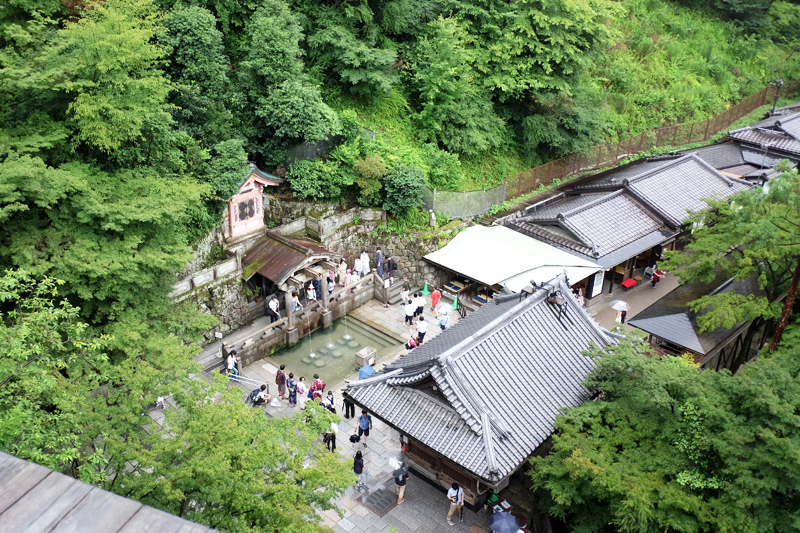 Kiyomizu means clear water, or pure water. 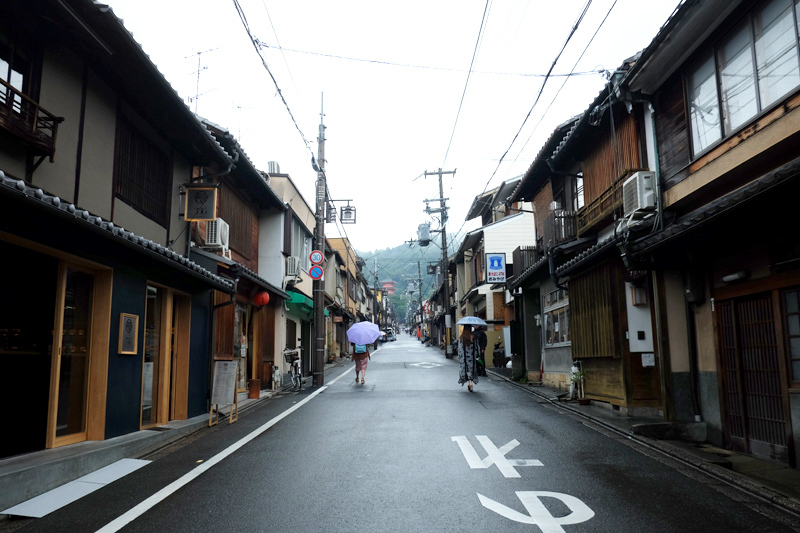 It was originally affiliated with the old and influential Hossō sect dating from Nara times. 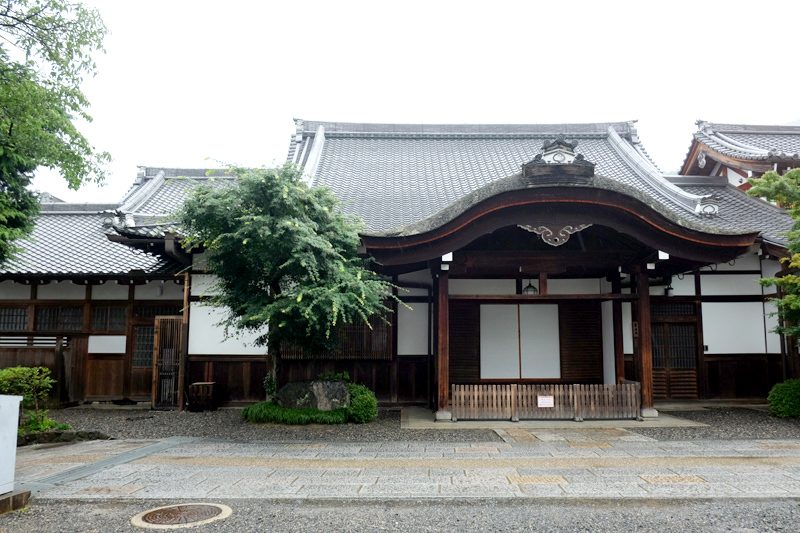 However, in 1965 it severed that affiliation, and its present custodians call themselves members of the "Kitahossō" sect. That people used to jump off this 13 story building for fun?! It was believed that wishes would come true for those who survive the fall. 1. Visit the viewing deck for a birds eye view. 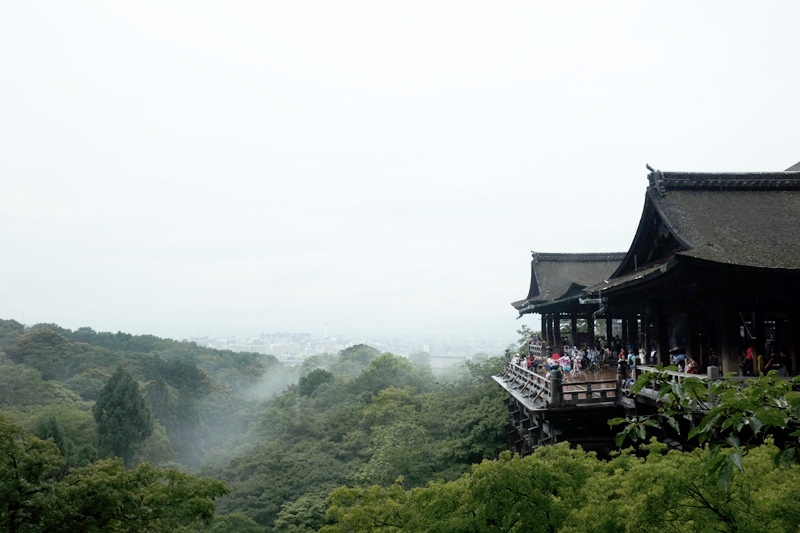 Also see Kyoto Tower in enveloped by clouds in the distance. We went in the summer but during Spring this is 90% covered with CHERRY BLOSSOMS. Can you imagine how pretty that would be? 2. Take a leisurely walk along the gardens and be surprised by different random structures along its path. 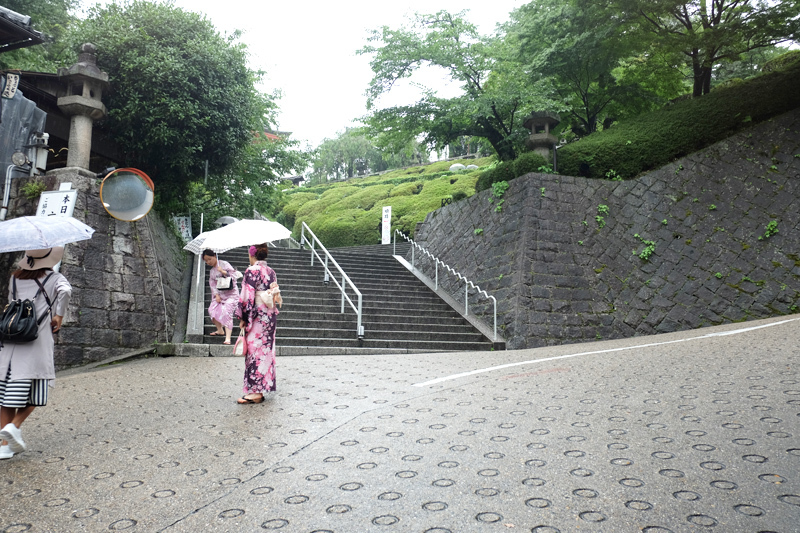 There's also lots of water features/fountains that you can drink from. 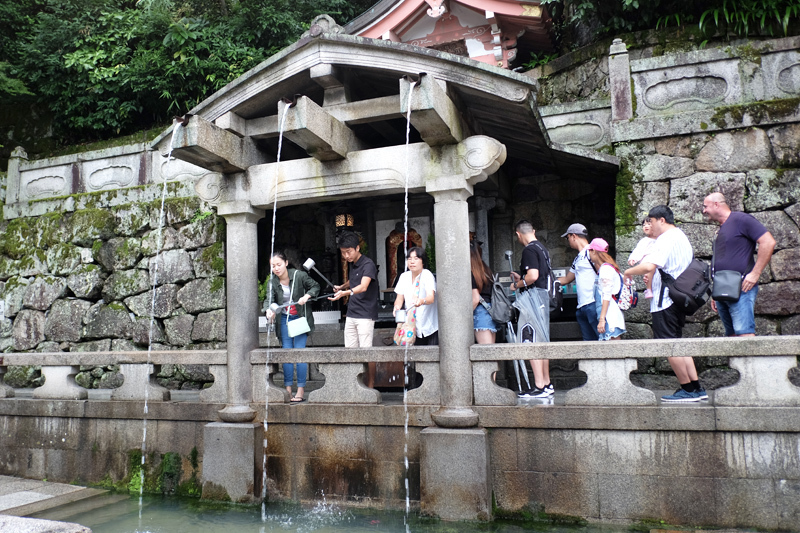 It's also believed that the water here has wish-granting powers. 3. 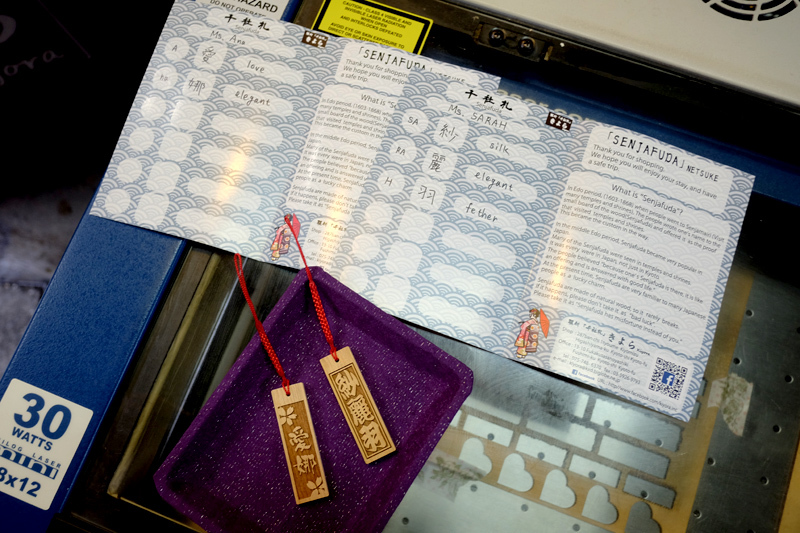 Tie those wishes/prayers/ special intentions on a pole for monks to pray over. 4. Zuigudo Hall - if there's one thing YOU NEED TO DO WHILE HERE, ITS THIS. Zuigudo Hall is a pitch black basement concealed under the temple that is dedicated to Buddha's mother. When I say pitch black I mean pitch black. You won't even be able to see a hand in front of your face. You'll be asked to take off your shoes before heading down. The floor of this maze-like room is cold and damp with only a rope strung with giant prayer beads to guide you along the way. IT'S CREEPY AT FIRST but you need to allow yourself to relax and see past the darkness, stillness and quietness of the place to find the meaning behind it. Towards the end, you'll see a large, glowing stone with the word "womb" carved out in sanskrit. 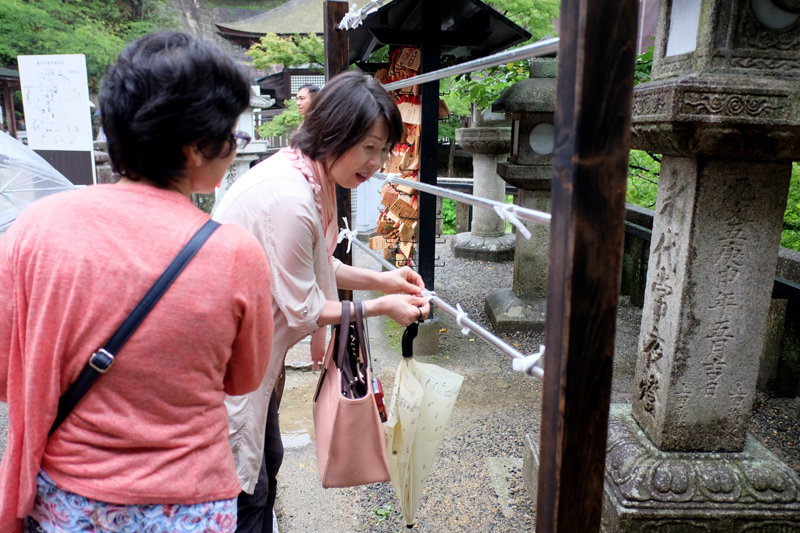 It is believed that wishes will be granted to those who touch the stone. For a dark basement created to symbolize a mother's womb, going through it definitely feels like a re-birth. I found the experience so cleansing. You'll feel like a different person upon exiting. Someone with a clearer view of life. (wow. haha, seriously though. it's awesome so brave the lines). 6. Purchase an EMA PLAQUE and write your wish on it. 7. 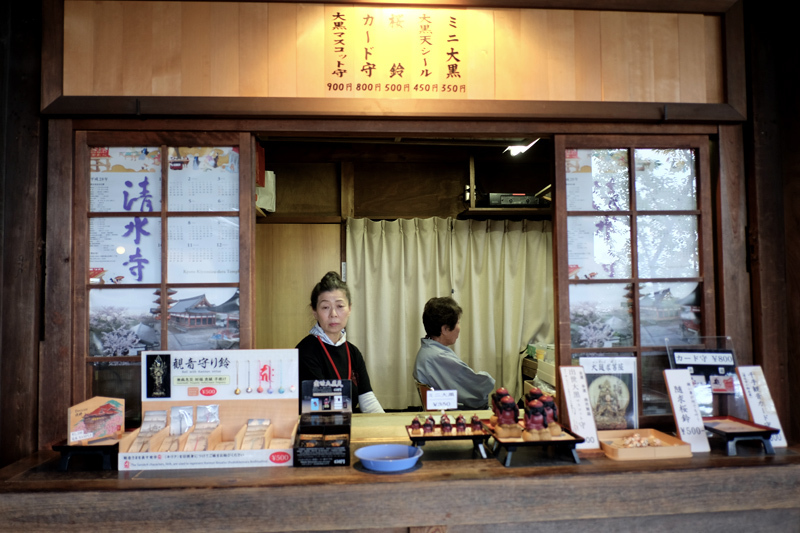 Enjoy a Japanese meal or have some good tea. 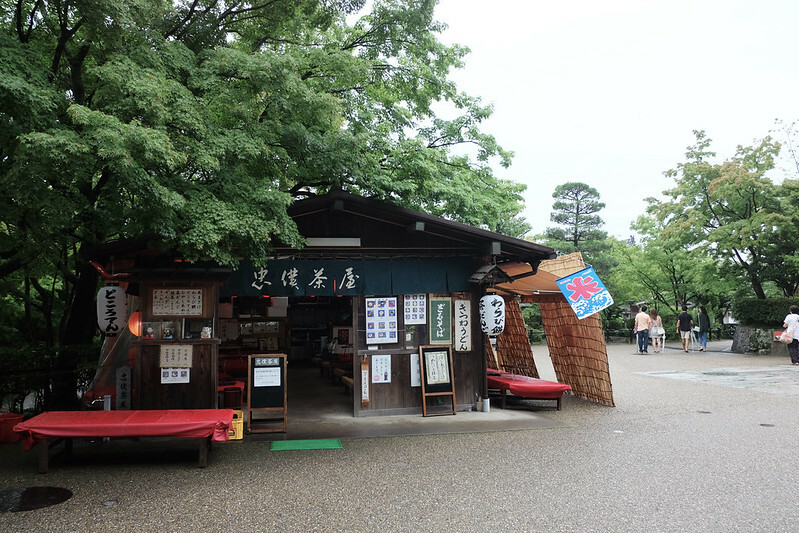 I came across several charming watering holes while walking around the vast compound. Some specialize in only tea, while others have full meals. 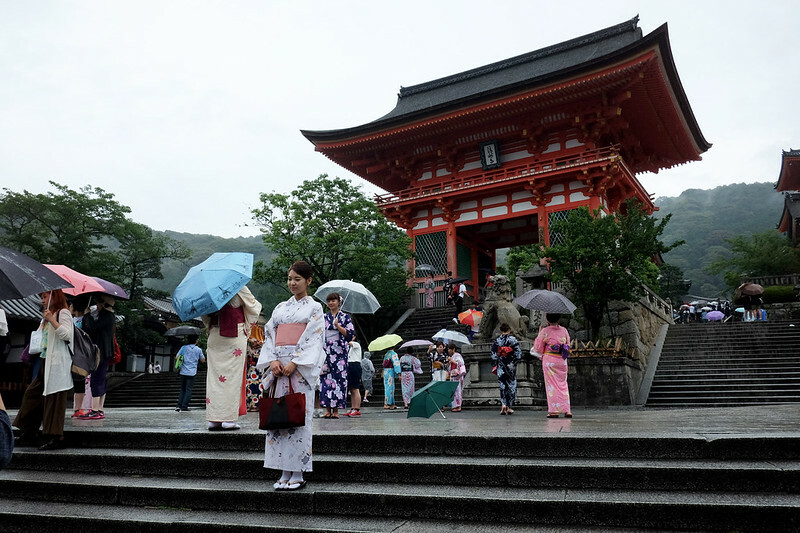 There are plenty of places here where you can rent a kimono for the day. Just shop around cause some can get pretty expensive. 9. Drink blessed, wish-granting water. It doesn't have to be at this particular places, there are other smaller fountains around the complex that are less crowded.